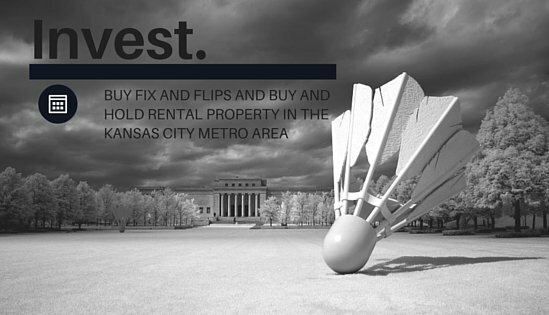 We get a lot of calls from people wanting to know how to find great Kansas City Investment Property to either fix and flip or for buy and hold. There are several things you can do to get to these properties, it all depends on your time and money you want to spend. 1. Hard Work: This is what we do here at KCInvest. We put in the time and money to send letters, maintain a website and generate motivated buyer leads. We then take calls, go look at properties and sift through everything to find the deals and then we wholesale them on to the investor buyer or the home owner. 2. Realtor: This is a great option for an buyer who does not want to spend a lot of time and effort themselves finding properties. However, the Realtor is most often going to be limiting their properties they show you to what is on the MLS and that is not always going to have the property you seek. So be sure to find a Realtor who not only searches on MLS but also is on every wholesaler’s list to find the best deal. You may need to be prepared to pay them additional commission. 3. Turn Key Provider: This is usually a company that buys houses, renovates them, places tenants, sells the property to a buy and hold investor (usually out of state) and then manages the property for the investor. KCInvest sells a lot of properties to turn key providers. So if you are an investor who is seeking property and you have a lot of time to devote to finding the absolute best deal, I would suggest you take a course on marketing to motivated sellers to find the deals yourself . . but as I said, this takes time and money. If you would rather shorten that curve, I would then suggest you seek out every wholesaler in the metro and register as a buyer on their list. You can start on our site atwww.KCInvest.com and register as a buyer. You could go to www.MAREI.org and see all the properties listed for sale there, and find out who is selling the property and register as a buyer with them. 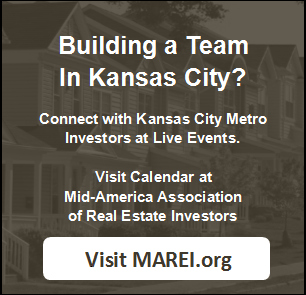 Next find on different social media platforms look for groups devoted to real estate investing and Kansas City and see who might be selling properties there. Next I would also find a Realtor to keep an eye on the MLS for you as there are still good deals to be had. Attending a meeting of MAREI would be a great way to connect with area Realtors. And if you are out of the area and are looking for buy and hold, I would do all of the above plus possibly seek out a turn key provider who can be your eyes and ears in Kansas City. They will not know of every property, but they will be able to go look at properties and help you select them. Just select your turn key provider very carefully as they are not all created equally. About the photo – when you are in Kansas City, visit the Nelson Atkins Museum and you will find our beloved Shuttlecock in their yard.